My plan is to kick MoO 1/2 off of its pedestal, and have BB be the new 4X TBS game to be compared to. 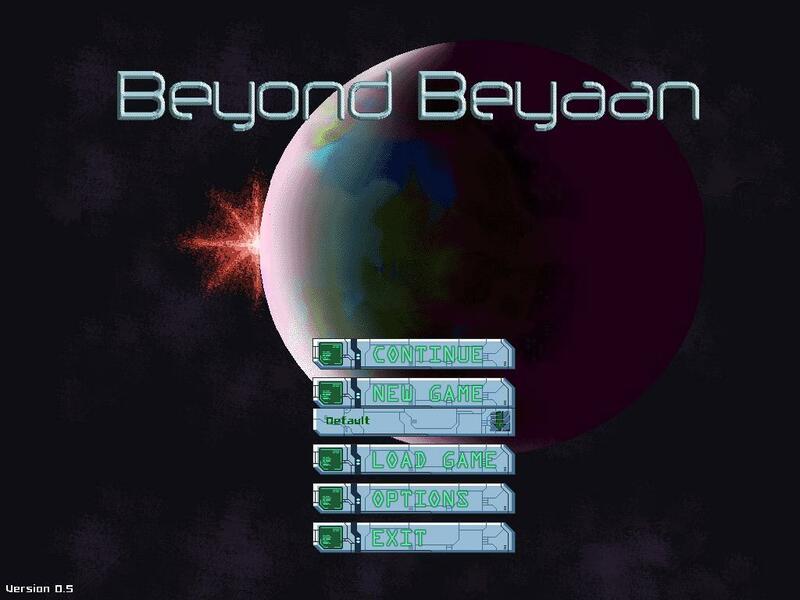 The version I played was 0.5, dated 3/6/12, so the Desura version might be a smidge more updated than the one I have. Upon loading the game, I started a new game, which presented me with the above screen. The first time you load a new game in BB, a small window with a textual tutorial that not only explains that screen, but also kindly tells you what’s missing and what isn’t working yet, which I thought was a nice touch in setting up expectations. Right now, the game is basically a giant jigsaw puzzle with many of the pieces still missing, but the pieces that are there give you a good indication as to what’s in store when all is said and done. The puzzle pieces it doesn’t include or don’t work right now are racial bonuses, artificial intelligence for computer players, certain buttons on the main interface button bar, like diplomacy and such, and things like messages to explain to the player what happened during a turn. 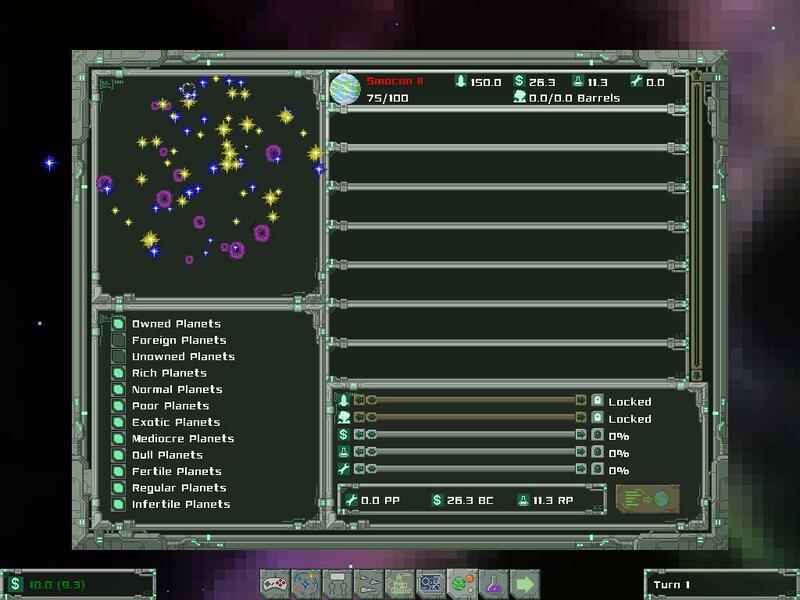 The pieces that are there include planetary production, ship design and construction, ship/fleet movements, colonization, galaxy generation and so on. The tutorial covers many of these facets in detail, though there’s still work to be done. Tool tips are another thing that aren’t fully implemented yet — though the icons are simple to figure out — and the interface is still a bit confusing, as I got lost by moving my mouse wheel and cursor at the same time, but hopefully this will improve. Sadly my screenshot program crashed during this time, and I wasn’t aware of it, so I don’t have many screenshots of the tutorial itself. However, once that was done, I then played around with the included battle simulator — which I couldn’t find a way out of, but I liked its inclusion nonetheless — and then started a new game. Knowing the options a bit better, I started a new game with a race of Space Hamsters — AWESOME — against a race of Zero People. 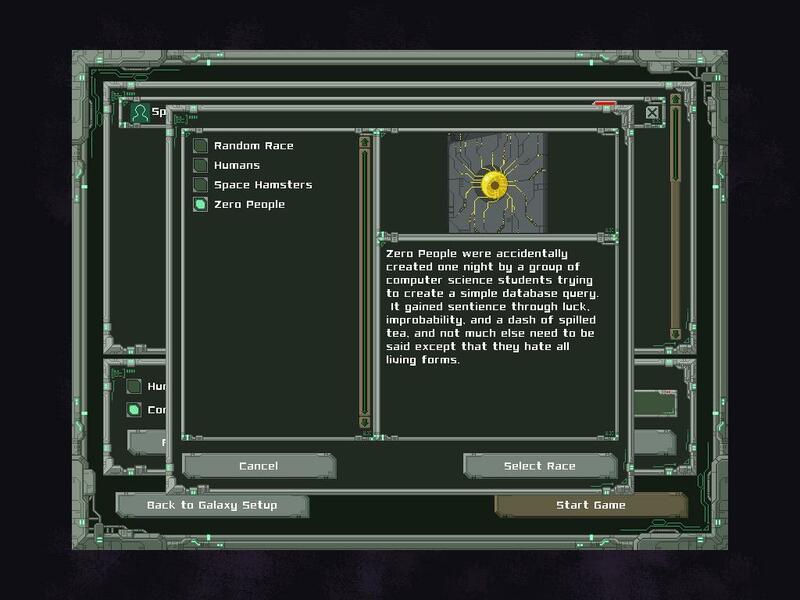 The game also currently has Humans as a race at the moment. 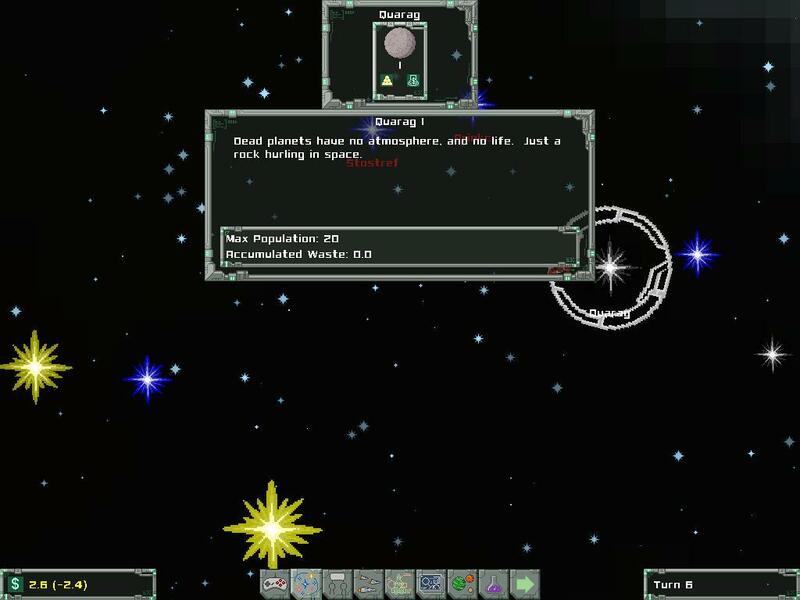 Since there isn’t any AI to speak of at the moment, that let me play around with the interface and move things around. I first sent my existing fleet toward a nearby star — which, if you have a colonization ship, easily gives you the option to colonize a planet in that star — and then built a new Frigate class, dubbed The Freaker. 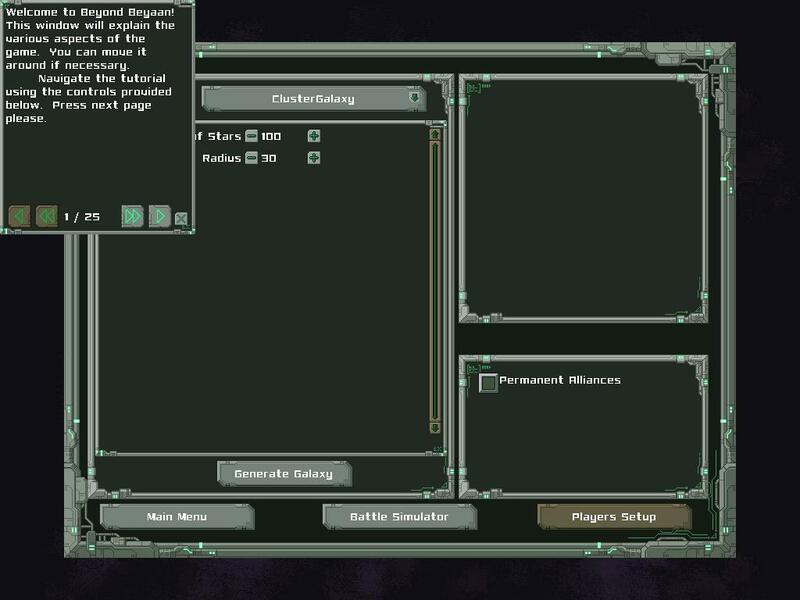 The ship building interface is fairly straightforward. 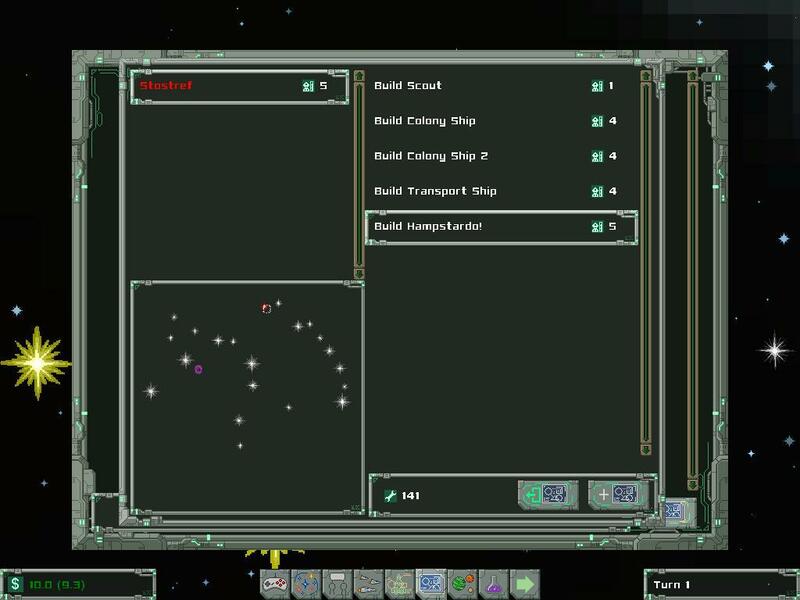 Choose a hull, such as a scout, destroy, frigate and so on, which has a certain amount of space from which you can add things. You can then add things willy-nilly as long as you have the space for it. 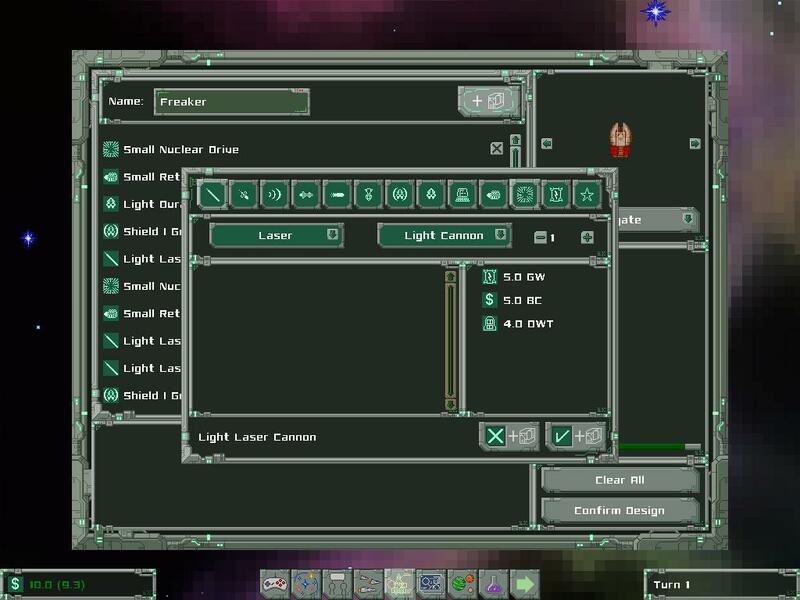 I therefore added several FTL and sub-light engines, laser guns and shield generators to my design. The only thing I didn’t like is that the equipment adding screen closed whenever I added something new, requiring one to open it again, which was a bit tedious. I’d love to be able to add multiple items at once, such as four engines by shift-clicking the add button or some such. Once I was done, I immediately commanded my home planet to build one, which would take several turns. Sadly I didn’t get to see the ship finished because, at turn three, the “End Turn” button was darkened out, and I couldn’t continue. Sadly. I had no idea WHY I couldn’t continue because there was nothing to tell me what I was missing or had done wrong during the previous or current turns to make moving forward not an option. Space Hampsters with an EYE PATCH! YEAH! As I was doing this, my other fleet made their way to their destination, and gave me the option of colonizing the system’s lone planet, which I totally did. We’ll need more population and resources if we’re to carry out our war against the wretched, smelly humans. You’re also given all the info on a planet before choosing it for colonization, so you can move on if you like. New Planet to Colonize! Yay! In THIS game, I made it to turn seven before the “End Turn” button darkened on me once again, and again with no idea as to why this occurred, sadly. I then played another game or two with similar results. In the end, as I said above, right now this game is missing a lot of pieces. However, in playing this early version of the game, I was actually having a great time playing with the pieces that were available, even if some didn’t work. Currently, the game is something of a shell, but it’s a shell that could be filled with plenty of awesome potential. I mean, if I had fun with a game that still has so much to add to it, how much fun will I have when it’s all complete? So, in conclusion, does Master of Orion have to worry about losing it’s crown as one of the best — some would argue THE best — 4X space game ever? I honestly can’t say at this point, but as a SUCCESSOR to MoO at the very least, Beyond Beyaan has the potential to fill one’s MoO-shaped hole nicely, based on what I’ve seen. Now that I’ve had time to play the game itself, I can’t wait to see how it ends up once its finished. I leave the decision to buy it, with all of this information in hand, entirely up to you, given the state the game is in right now. Thanks for reading, as always, and please enjoy my gallery of all of the screenshots taken for this article. Nice preview! Yeah, there's still a lot to be done. Glad that you enjoyed what the game had so far! As for the end turn button being greyed out, that's because your net income would put you below 0 BC, which the game don't allow. So you'll have to either scrap some ships, increase revenues produced by planets, etc. If the income text on bottom left is red, then you can't end the turn. If it's yellow, it means you have some reserves, but are losing money. I will add that to the tutorial, as well as tool-tip clarifying why you can't end turn. As for adding equipment, I can make that modification so that it don't close the window after you've added an equipment. Thanks for your feedback! Keep up the good work as this looks interesting for sure.